This chair is the perfect accent piece to finish off any room, with a richly finished wood base for added beauty and style. Product Dimensions: 30 in. x 32 in. x 39 in. 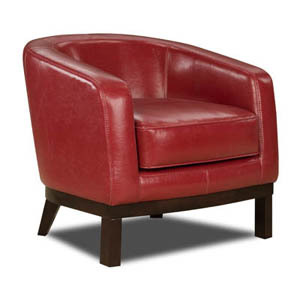 Made from a solid wood base with bi cast bonded leather.